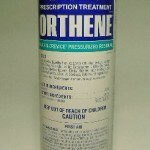 PRODUCT DESCRIPTION: Aerosol form for crack/crevice. TARGET PESTS: Ants, Booklice, Boxelder Bugs, Carpenter Ants, Centipedes, Chocolate Moths, Clover Mites, Cluster Flies, Cockroaches, Crickets, Dermestids, Drug Store Beetles, Earwigs, Elmleaf Beetles, Flour Beetles, Grain Weevils, Millipedes, Silverfish, Sowbugs, Spiders and Trogodermas. WHERE TO USE IT: It is designed for crack and crevice application. Great for the "worse" of pest problems. RATE OF APPLICATION: Good treatments will last 2-4 weeks.